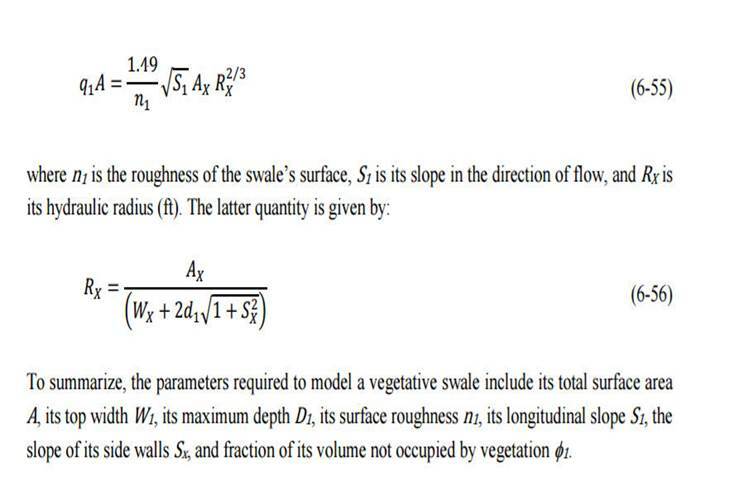 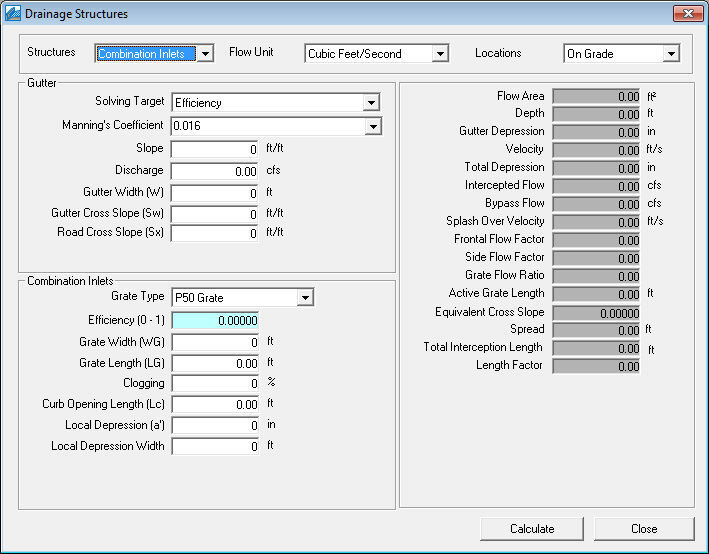 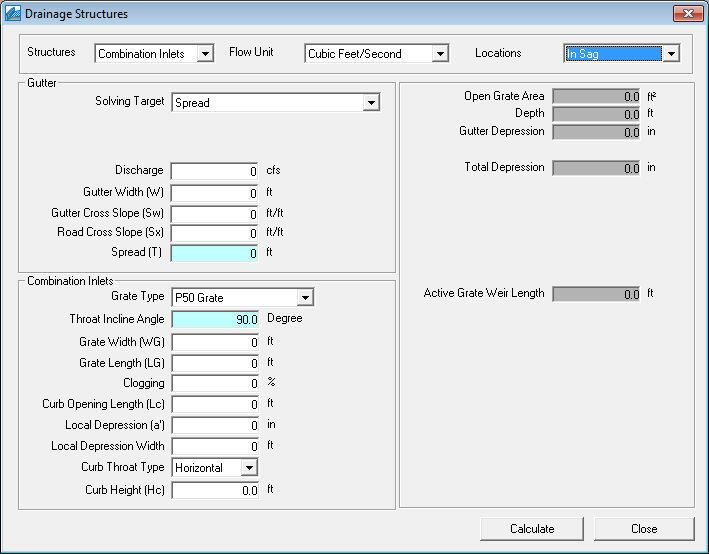 Depth up to which gate behaves as weir or Threshold Depth in feet or meters. 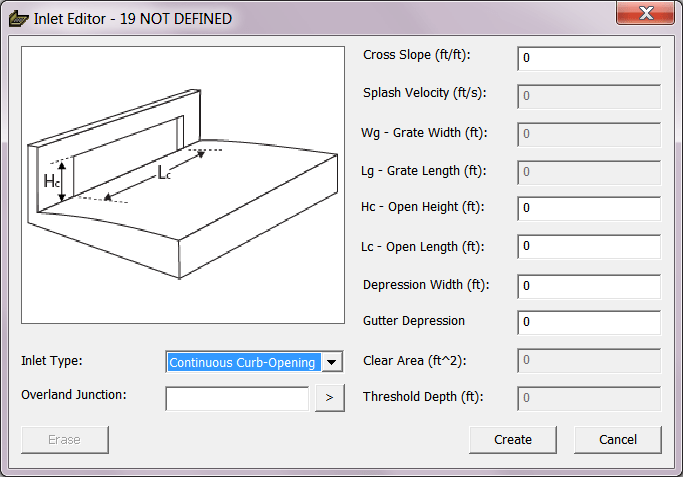 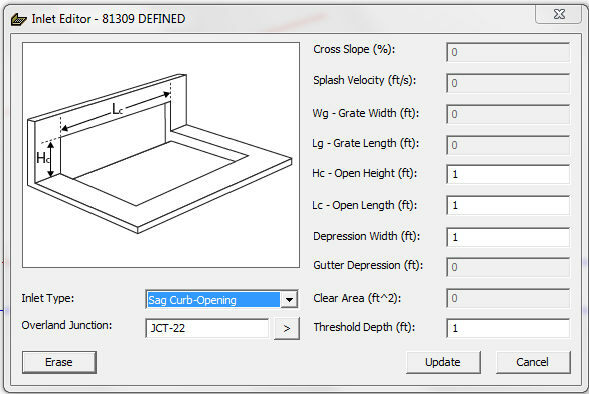 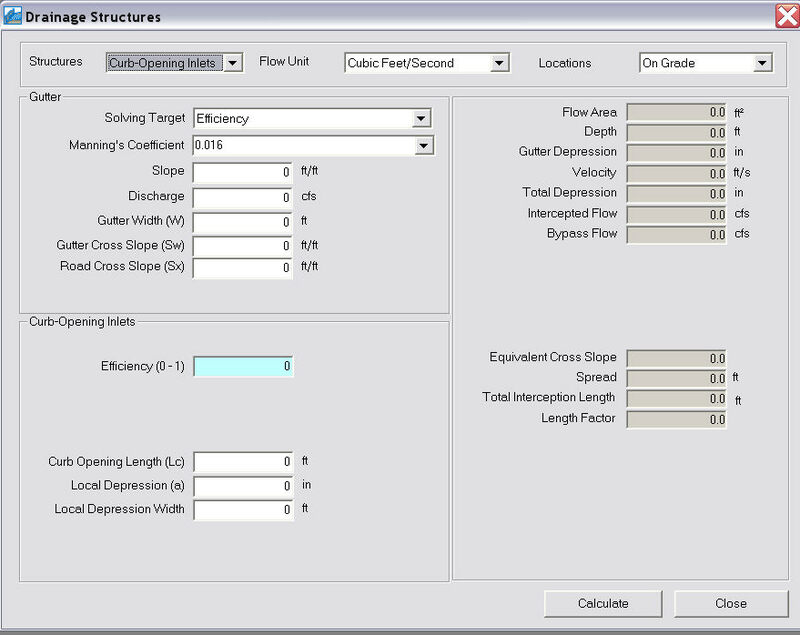 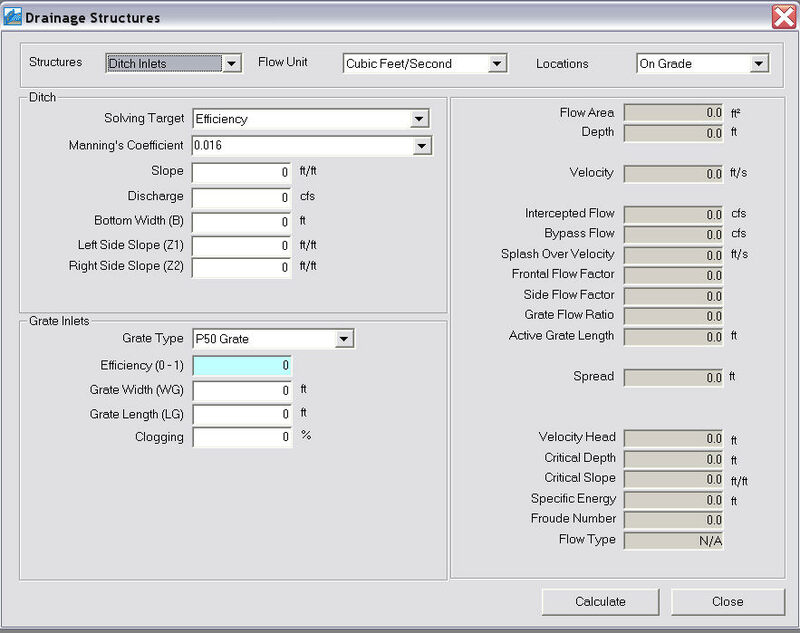 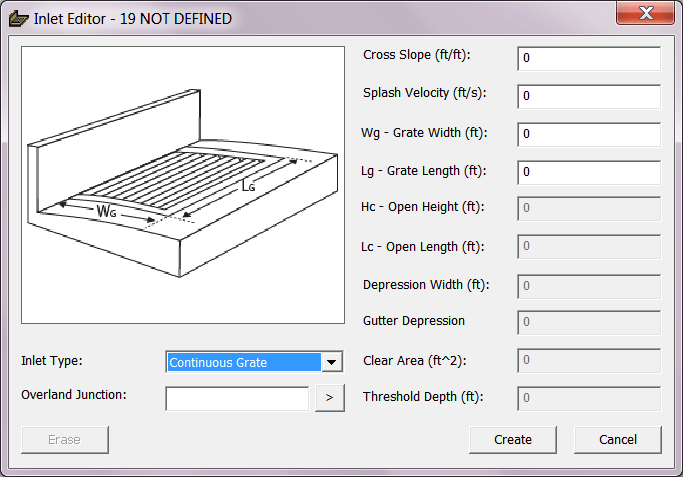 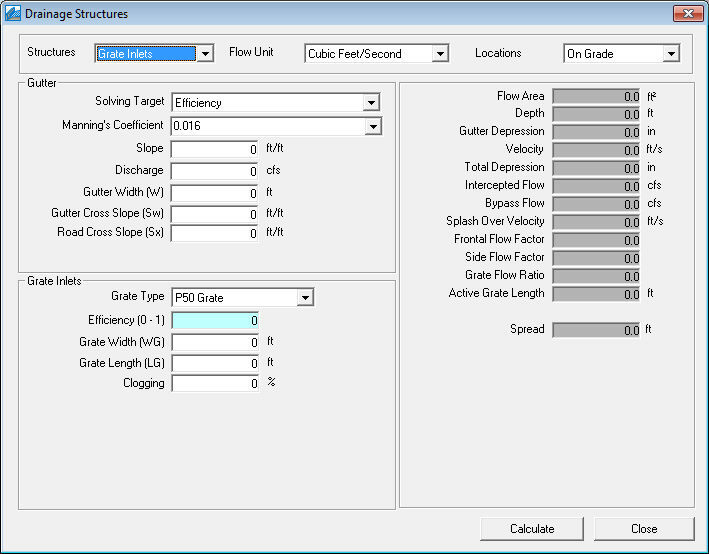 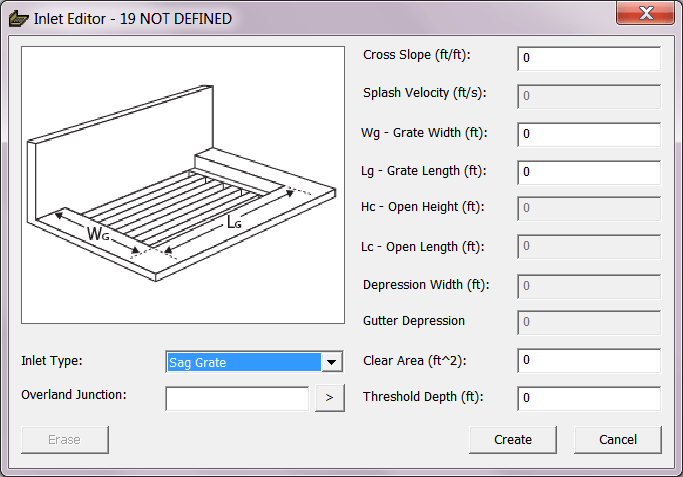 · Active Grate Weir Length – Portion of grate length and width that is not clogged and not covered by the bars. 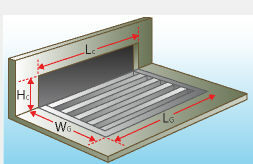 Used when the grate acts as a weir.